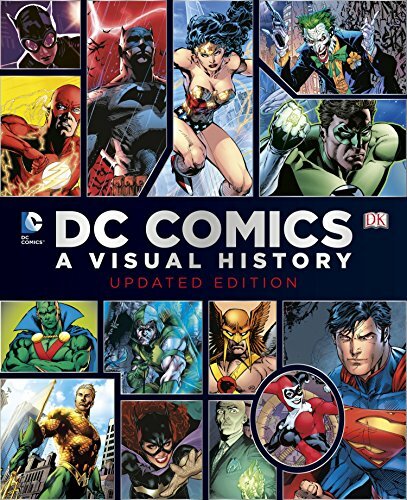 As you would expect from publishers DK, this is a beautifully laid out book, well researched and written and packed with lots of details and information that all DC fans can enjoy. It's a huge 376-page hardcover that comes with a slipcase and two prints inside. This book is the updated edition from the 2010 edition with 16 additional pages to include content from 2010 to 2014. The content is arranged chronologically starting from 1930s. Included are the milestones in comic history through the comic book ages, special highlights on selected superheroes, many interesting facts, big, small or obscure. It's pretty cool to see how the stories and art have evolved over the years. It is a visually impressive book and very enjoyable to go through. The art and writeup art brilliant. Highly recommended to DC comic fans.